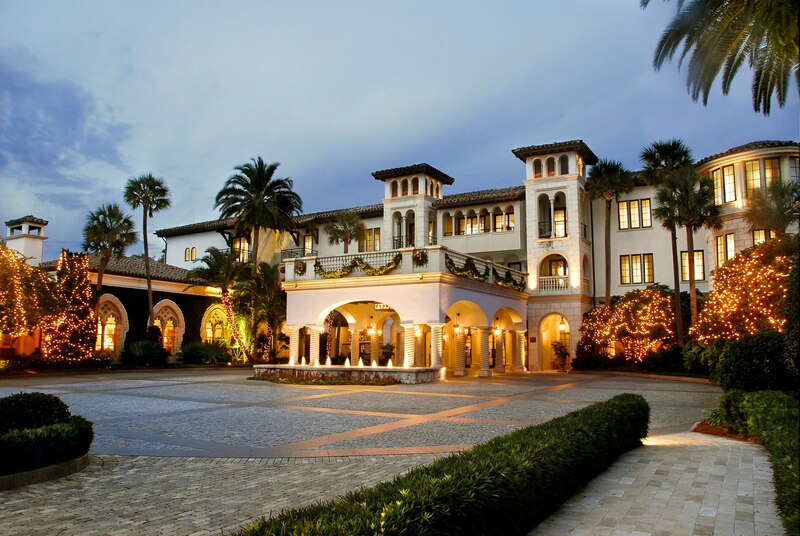 Travel + Leisure just released their 2013 roster of the best hotels, and we were excited to see several HyperDisk clients on the list! Travel + Leisure’s “World’s Best” Awards are amongst the most prestigious in the international travel industry as it is the readers who define excellence in hospitality and travel. Here is a sneak peak at a few of our clients that made the list! In the heart of Tuscany near the mythic cities of Florence, Siena and San Gimignano, is Castello di Casole – A Timbers Resort. One of the largest private estates in all of Italy, Castello di Casole is set among 4,200 acres of rolling hills, sweeping valleys, Tuscan vineyards and olive groves. Two cypress-lined lanes ascend to a historic castle that has been carefully restored over the past seven years into an intimate boutique 5-star hotel in the grand European tradition. Hotel Castello di Casole opened its doors in July 2012. Dotting the hillsides are expansive Farmhouses and intimate Villas, each with its own mesmerizing glass-tiled infinity pool and available for whole ownership or through the private residence club. The perks of staying at The Lodge at Sea Island just off southeastern Georgia’s Atlantic coast include country-style rooms and access to a legendary golf course—complete with a roaming bagpiper come evening. Suites and living rooms are more than 1,000 square feet, with water or golf course views, plus 24-hour butler service. For serious relaxation, guests can access the 65,000-square-foot spa at the lodge’s sister property, The Cloister. Long a favorite of the East Coast Establishment, The Cloister at Sea Island is a 1928 Mediterranean-style mansion is on 1,000 acres of a barrier island south of Savannah. Beach Club Suites come with kitchens, fireplaces, balconies, and easy access to three pools, an ice cream parlor, a movie theater, and a children’s center. Hop on the Cloister Belle, a restored antique yacht, for a 90-minute tour of the salt marsh to see oyster beds and live shrimp. Unveiled in September 2009 after its conversion from a Starwood Luxury Collection property, St. Regis Princeville resort on Kauai’s North Shore borders two of Hawaii’s most famous golf courses (the Makai Golf Club and the Prince Course, which were both designed by Robert Trent Jones, Jr.). In its new incarnation, however, the property now also offers enough amenities to tempt even the links-averse—including an 11,000-square-foot spa doling out taro-clay wraps and maile-oil massages; Kauai Grill, a Jean-Georges Vongerichten restaurant; a 5,000-square-foot infinity pool; and a sheltered beach good for snorkeling and for families. The 251 rooms—some of the largest on Kauai—are all gleamingly new and done up in pale blue and warm wood tones; Premium Ocean View rooms and suites overlook Hanalei Bay to Mt. Namolokama and, in the distance, Mt. Makana (famously depicted as Bali Hai in the South Pacific film). Opened in 2008, with a prime location half a mile north of the Golden Gate Bridge in the Golden Gate National Recreation Area, Cavallo Point blends old and new to great effect. Its 142 rooms and suites are set in restored turn-of-the-20th-century Colonial Revival buildings that were once officers’ residences at Fort Baker. The lodge has a Healing Arts Center & Spa, an organic Tea Bar, a culinary arts program (sample classes: “Cooking from the Farmers’ Market” and the “Asian Melting Pot”), yoga classes, and one of the most dramatic views of that world-famous bridge. The Big Sur hotel opened in 1992 and is made up entirely of small buildings set on a ridge high above the Pacific. In 2008, Post Ranch Inn added 10 new sculptural structures, spiraling Pacific Suites, cantilevered Peak Houses, and Richard Serra-esque Cliff houses clad in torques of rusted steel. Staying in a Pacific Suite, wherever you stand you are exposed to the ocean and the sky but unseen by other guests. Even the tiled bath, big enough for two, has a commanding vista, and a floor-to-ceiling window that opens to let in Pacific breezes. The walls are paneled in redwood salvaged from old wine barrels and sheet metal art adorns the bathroom. Sierra Mar, the hotel restaurant will pack you a lunch to take down the Pacific Coast Highway in a Lexus convertible that guests can borrow for free. The mini-bar is complimentary, so take advantage on your balcony overlooking the ocean. Iconic, surfer-filled Waikiki—so famous that its image has even been printed on tens of thousands “aloha shirts”—is almost always full of tourists and happy beachgoers. The stretch of sand is widest, about 100 feet, in front of the bright pink Royal Hawaiian hotel. The bathtub-temp turquoise water is ideal for swimming, and waves are usually gentle enough for children and beginning surfers. Following a $60 million-plus overhaul, the pink palazzo-style landmark reopened in 2009 with a brand-new pool and Royal Beach Club cabanas. Although there’s plenty to do in the Napa Valley Wine Country, many guests of The Carneros Inn find that once they’re there, they don’t want to leave. The Napa resort makes it easy to settle in and relax, offering everything you need for a self-contained vacation, including three full restaurants, an upscale general store, an award-winning Spa, two pools, complimentary bicycles and more. On the quiet Hawaiian island of Kauai, local building codes keep structure heights below that of a mature coconut tree. The mandate explains why the four-story Sheraton Kauai, located on Poipu Beach, appears smaller than it is (394 rooms and suites). Just steps from the south-shore beach where instructors lead yoga classes and a quaint beach hut rents snorkel gear, the 20-acre resort, built in 1968, is ideal for unplugging completely. Cozy fire pits in the outdoor courtyard (part of a multi-million-dollar renovation completed in 2012), two sparkling pools, and day-bungalows with privacy curtains underscore the tropical mood. On Wednesday nights, the hotel hosts a traditional luau, with hula dancers, ukulele players, and kalua pig roasted in an imu, a traditional Hawaiian earthen oven. The Sheraton Maui Resort & Spa is the premier location for a dream Hawaiian vacation. Situated on Kaanapali Beach, the Sheraton Maui Resort & Spa is the most romantic escape in all the Hawaiian Islands… the dramatic point at which the legendary Black Rock of Kaanapali meets the ocean. Anchored by the Black Rock itself, this spectacular Maui hotel beckons hopeless romantics, discerning honeymooners, and fun-seeking families. History and spectacular landscapes come together in Charlottesville, at the foot of the Blue Ridge Mountains. Celebrated landmarks, including Thomas Jefferson’s Monticello and the University of Virginia, are clustered here among swathes of the East Coast’s most beautiful scenery. The region is also home to over 25 wineries, breweries and cideries. This is the setting for Keswick Hall at Monticello, an impressive 48-room mansion nestled on 600 acres. The resort is also home to the prestigious Keswick Club. The estate is the perfect retreat, whether planning a destination wedding, a corporate gathering or a getaway filled with relaxation, gracious hospitality and fresh country air. Debbie is the Digital Communications Manager for HyperDisk Marketing where she oversees social media strategies; helps develop content across websites, blogs, and social channels; optimizes sites for SEO; and manages various client accounts. She is the also the Founder of Social Hospitality, a blog focusing on trends related to social media and the hospitality industry.